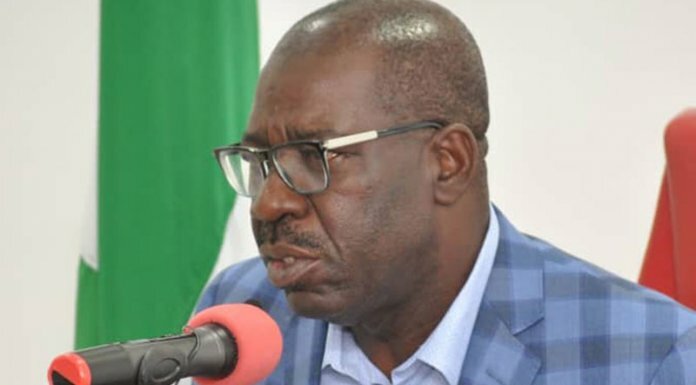 The People’s Democratic Party, PDP, in Edo State on Thursday suffered a major setback ahead of the 2016 election as a former chairman of the party in Egor local government area, ward chairmen, women leaders, youths and other officials defected to the All Progressives Congress (APC). Speaking on behalf of the defectors, the former local government Chairman under the PDP, Promise Igbinevbo, described the party as a leopard which never changes its spots because it lacks the capacity to do so. According to him, “The PDP is not interested in the development of the state. Rather they want to further plunge the state into decay like they did years ago. The leaders in the state are self-centered and not people-oriented”, a reason which he noted forced them to join the APC. “With full sense of humility and responsibility, I believe physically and tactically, we are all here to bury the PDP”. Igbinevbo said. He noted that the leaders are full of humiliation and deception and fight for their own interests alone to the detriment of their followers. “I want to let you know that myself, serving ward local government leaders and executives across Egor local government area wish to join forces with the Comrade governor and support the APC candidate, Mr Godwin Obaseki. “I have to let you know, I don’t bow down for people because of money, I bow down to people with heart of gratitude, integrity. I want to let you know we bowed to Oshiomhole because of his previous works in Edo State. “Sixteen years of PDP, we are all aware, in the state there was no road, no market, no school, no job, no electricity, no hospital but when the comrade governor came on board, everything changed. “I am aware of their game plan but it will not come to pass. I want to say I stand here to declare myself and my followers to the APC and I want to let you know we trust the APC. They never promise and fail”, he said.